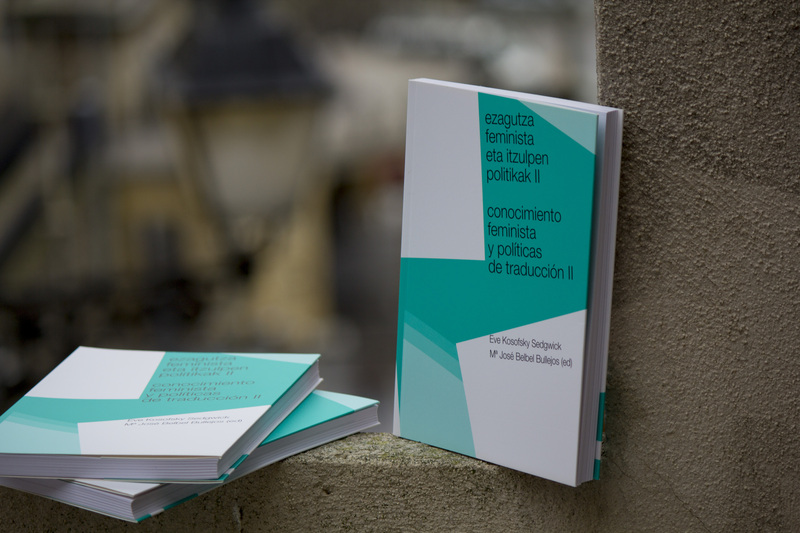 This year, 2014, Arteleku has published the book entitled Conocimiento feminista y políticas de traducción II,(Feminist Knowledge and Translation Policies II) which gathers together the translations into Basque and Spanish of three texts that are part of the theoretical production of one of the most important feminist thinkers: Eve Kosofsky Sedgwick. The book has a foreword by its publisher, María José Belbel, which puts the importance of these texts into context. Feminist knowledge and translation policies is a project that is the continuation of other previous pieces of work relating to translation, which is understood in the strict sense as well as in the expanded sense. This collection, begun with Arteleku in 2013 , sets out to make known in Basque and Spanish certain texts whose thinking has made a significant contribution towards gender studies, feminist studies and studies into sexuality, as well as towards the expansion and reformulation of the way we conceive policies relating to knowledge and ways of handling it.